Holiday is, where the sun laughs! Souther Baden and the Markgräflerland is one of the sunniest areas with the lowest rainfall in Germany. The Rhine valley with its vineyards offers beautiful views over to France and into the Vogesen (Vosges)! One of the TOP health resorts and Spa towns! According to a study of the news magazine Focus-Gesundheit Bad Bellingen was elevated by the wide range of medical services and medical competence, the infrastructure, the range of therapies as well as the guest management. With the rating “very good” the highest possible rating was achieved! Bad Bellingen is not only the right choice for your cure or wellness program but for every kind of holiday in the three country-corner (Germany, Switzerland and France). Als holiday resort Bad Bellingen became more and more popular because of the ideal starting point for various excursions to Switzerland, France and the Black Forest Area and can be reached within a short time. Also business travelers, who work into and around Basel, stay in Bad Bellingen because of its ideal location. All guests in the apartmenthouse im Grün have a free Internet Access (W-LAN)! It is culture that you wanted, you will find numerous theatres and museums in Basel and Freiburg. You can also do a lot of sporting activities in Bad Bellingen. You will find golf and tennis courts nearby. Fishing, mini golf, cycling, walking, jogging and hiking are only some of the numerous possibilities for leisure activities. After sport you can relax in the balinea hot springs, the Tote-Meer-Salzgrotte or the Wellness range. The thermal water of the hot spring in Bad Bellingen is a healing water with therapeutic effect and get distinguished with 5 medical stars! Now, on the occasion of the 10th anniversary of the Wellness stars of the Spa Association Baden-Württemberg the balinea hot spot in Bad Bellingen is again destinguished for the fourth time with the 5 stars! which presents you first-class dishes and culinary delights. Also don’t miss our excellent wines! For those, who like a real local flavour, can visit one of the numerous “Straußenwirtschaften”. These Straußenwirtschaften are opened only a few weeks in the year. Therefore don’t miss it! Take a little time to enjoy this region culturally, culinary and with all your senses! Whether you’re travel alone, with your partner or with your family: Don’t miss a journey to the beautiful Markgräflerland! 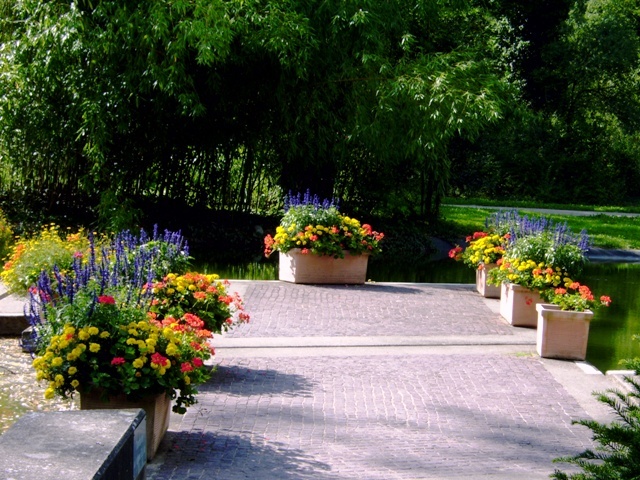 In spring you can enjoy the wonderful flower display 2 weeks earlier than usual. In the Kurpark hundreds of colourful crocuses, tulips and narcissuses are out. Stroll into the gently hilly countryside and enjoy countless trees in blossom. The “Markgräfler Gutedelfest”, a famous wine festival is also a highlight in spring time. It takes place each year in May. 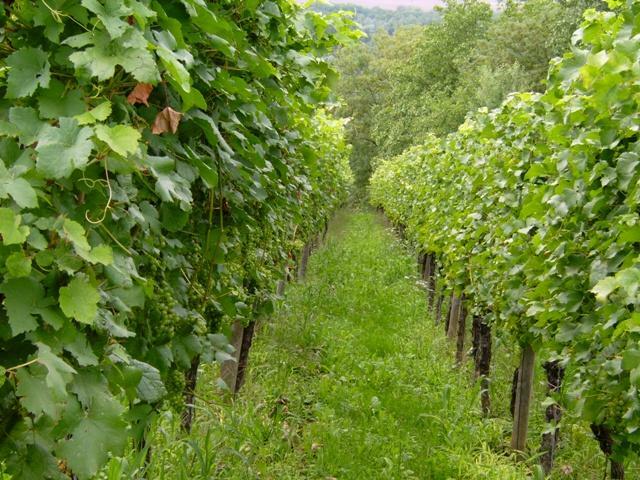 You can try our Markgräfler wine specialities along the “wine-route” (Weinstraße) from Staufen to Müllheim. Bad Bellingen Beside the wonderfully planted part of the Kurpark a large part of original meadows still exists. In summer you can refresh yourselves in one of four sport- and swimming pools as well as in the Balinea Thermen (hot springs). 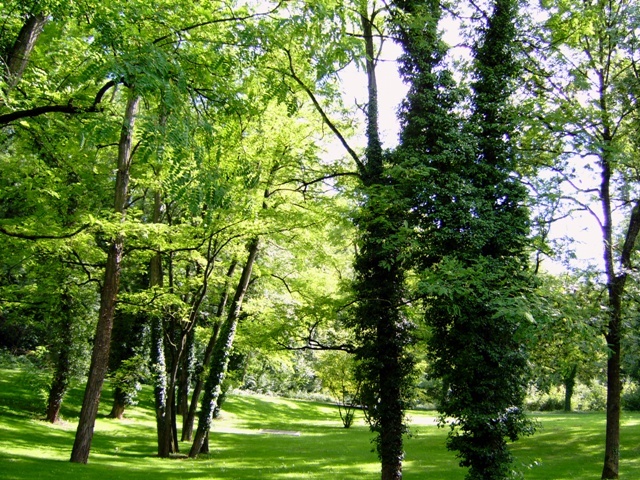 Enjoy a “Viertele”, a quarter litre of wine, in the shady kurpark. The summer is also the season of wine festivals. In June you shold visit the wine village at the old market place in Lörrach or the event called “wine and music” in Staufen. Don’t miss the “Freiburger Weinfest” in July around the “Münsterplatz” or the regional “Markgräfler Weinfest” in Staufen. Don’t miss the well-known “Lichterfest” in Bad Bellingen. In the glare of thousands of coloured lampions, lanterns and lights the whole kurpark lights up. The highlight of the celebration forms a spectacular fireworks. The “Lichterfest” takes place on the last Saturday in July. Winters in Bad Bellingen are characterised by its comfortable mildness. There is hardly any snow, so you can have long walks and all kinds of leisure activities. If you prefere snow, no problem. 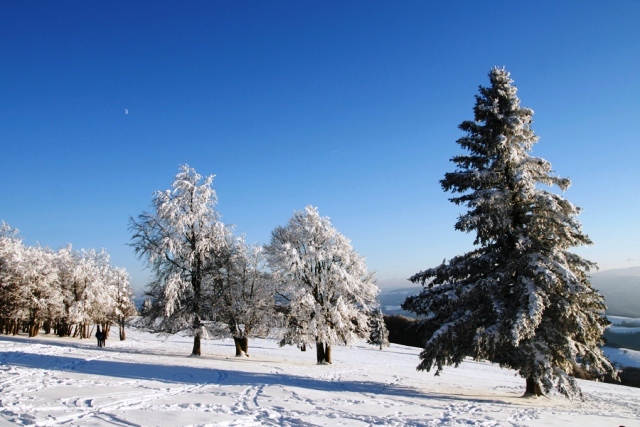 Within a few minutes you’ ll be in a wonderful winter landscape, the southern part of the Black Forest! Spend the Christmas season in the Markgräflerland! The most beautiful event is nature itself: In autumn you can experience the beautiful and colourful “Indian summer” as well as the grape harvest which is still carried out by hand in Bad Bellingen. If you are lucky, you are given some grapes as sweet as sugar by the proud winegrower, if you take a walk through the vineyards. 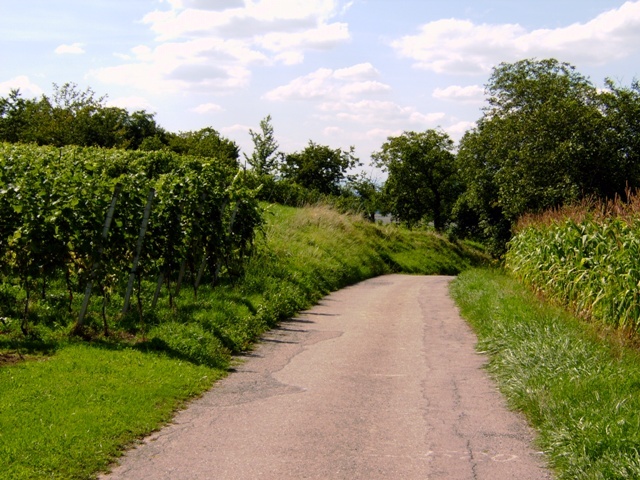 Don’t miss the “Winzerfest” (wine festival) in Auggen in September (a distance of only 5 kilometres). Take part in a unique wine tasting at the winegrowers’ cooperative. Our apartments and holiday flats are only round the corner from the most beautiful Christmas markets in South Germany, France and Switzerland. Visit the Christmas market in Basel or experience the “Elsässer Christmas” at the Christmas market in Mulhouse (France). You find the “typical cosiness of Baden” at the Christmas market in Freiburg. Come and find a magic Christmas atmosphere in the “Europa Park”! No matter how you would like to spend your stay – sauna, massage, wellness, golf, cycling, riding, fishing, jogging, hiking or mini golf, trips into Switzerland, the Black Forest, the Vogesen (Vosges), Südbaden, the Markgräflerland or the Elsass, with us you are going to feel well! Whether you visit us in spring, summer or autumn: What about the following leisure activities? Did you know that the thermal water of the hot spring in Bad Bellingen is a healing water with therapeutic effect and get distinguished with 5 medical stars? You’ll find further tips for leisure activities in the information file in the holiday flat or just ask me. By the way Bad Bellingen is also the ideal location for trips into Switzerland. The regions Bern, Zürich, Luzern or the Bieler Seeland can be reached with public means of transport in 1,5 hours.